Understanding the credit card climate is important for two reasons. First, credit card offers change regularly, based on the health of the economy and issuers’ business objectives. So being able to see the bigger picture – averages, trends, etc. – gives you a baseline against which to compare offers. And that will help you find the best credit card deals as well as ultimately save more money. Monitoring the credit card landscape can also tell you a lot about the health of the U.S. consumer. For example, 0% introductory APRs and initial rewards bonuses dried up during the Great Recession. And the decline in consumer credit quality during that period was a big reason why. 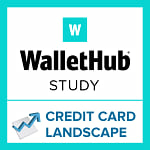 To help people better understand the credit card market, WalletHub tracks interest rates, rewards and fees across credit segments, highlighting the most important trends in our quarterly landscape reports. Below, you can check out our latest findings, including a breakdown of how rates are reacting to the Federal Reserve’s recent moves. The average credit card APR rose 19 basis points during Q4 2018. Average APRs for several credit card segments are at the highest point since WalletHub began tracking this data in 2010, including credit cards for people with good credit (20.31%), people with excellent credit (14.41%) and credit cards for business (18.31%). The rate at which credit card users earn rewards on purchases is trending upward. Credit card companies are emphasizing balance transfers over new-purchase financing, offering 0% intro rates for 14% longer. Balance transfer fees have also gotten 3.4% cheaper in the last 12 months. This discrepancy, which began to emerge in Q4 2013, reflects the fact that credit card debt levels are nearing record territory. Initial miles / points and cash-based rewards bonuses made big moves in the past 12 months, increasing in value by 44.18% and 36%, respectively. The average annual fee ($17.35) increased by 17.63% in the last year. The average foreign-transaction fee (1.5%) has fallen 40% since Q4 2014 and about 7% in the past year alone. The average cash advance fee has been decreasing for the past eight quarters by 43% and is now the greater of $8.37 or 3.26% of the amount withdrawn. The volume of credit card complaints filled with the CFPB in Q4 2018 decreased by more than 22% in the last year. Complaints related to “Advertising and Marketing” (+37.5%), “Delinquent Account” (+30.4%) and “Billing” (+25.9) increased the most during Q4. Complaints related to “APR or Interest Rate” (-9.3%) and “Collection” (-6.2%) fell the most. USAA had the most-satisfied credit card customers during the fourth quarter of 2018, earning a WalletHub Satisfaction Score of 97.19. Synchrony Bank cardholders were least pleased, with the issuer earning a score of just 63.52. The interest rates in the table above pertain to new accounts opened during the fourth quarter of 2018. For statistics illustrating what existing cardholders pay, please see our Historical Interest Rates page. This report was compiled using data from the 1,000+ credit card offers, monitored by WalletHub on a daily basis. Questions or requests for additional information can be directed to our media department. Is there any help for tranfer balance for people did a mistake using all credit card for cash advance? And theres a reason why they did it. But knows that its wrong. And even then never missed the payment and always on time?